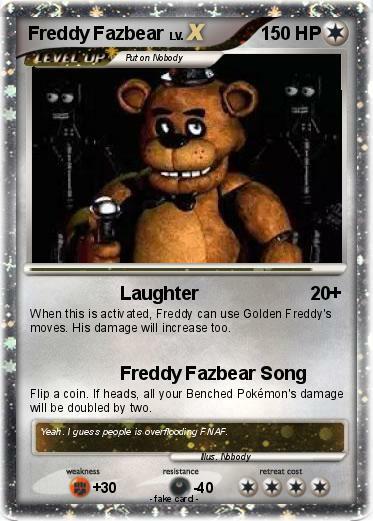 When this is activated, Freddy can use Golden Freddy's moves. His damage will increase too. Flip a coin. If heads, all your Benched Pokémon's damage will be doubled by two. Comments : Yeah. I guess people is overflooding FNAF.